﻿ Sycamore Lake Wine Company - Ohio. Find It Here. Welcome to our winery! We feature a nice selection of red & white wines, from dry to sweet, along with several different fruit wines. We also offer a nice variety of appetizers that pair well with all our wines. 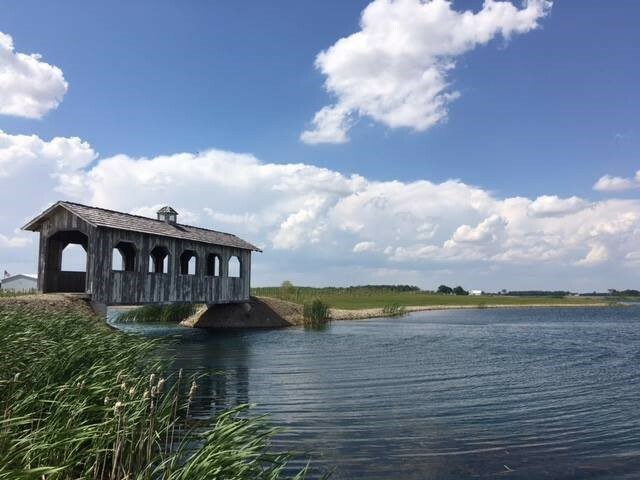 Relax and enjoy a glass of wine in our comfortable tasting room, on our patio, or while strolling through our 3 acre vineyard, surrounded by a 17 acre lake with an authentic looking covered bridge. While enjoying a glass of wine, you can browse through our gift shop area for that unique wine themed gift or accessory. Come as a guest, leave as a friend! 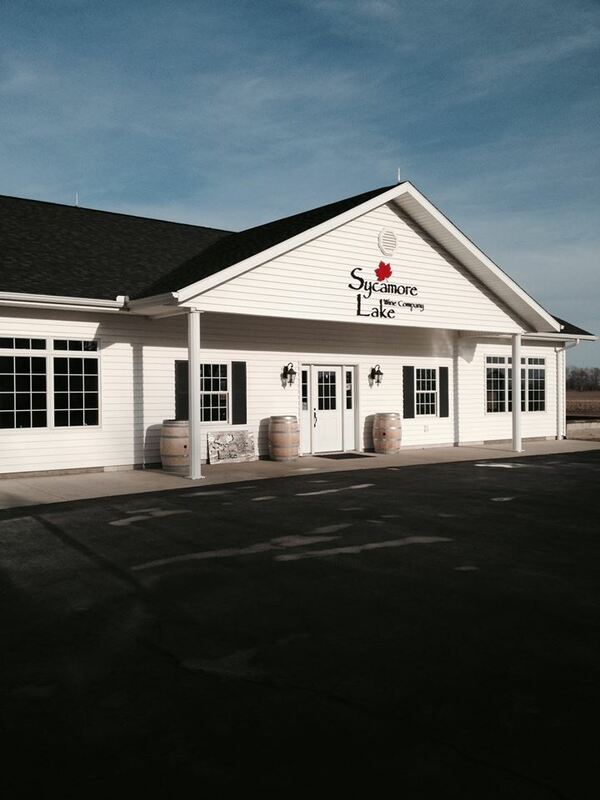 Sycamore Lake Wine Company is located 6 miles from I-75, 3 miles from US 30 and 2 miles from State Route 65. We are open on Thursday, Friday and Saturday from 12-8 p.m.